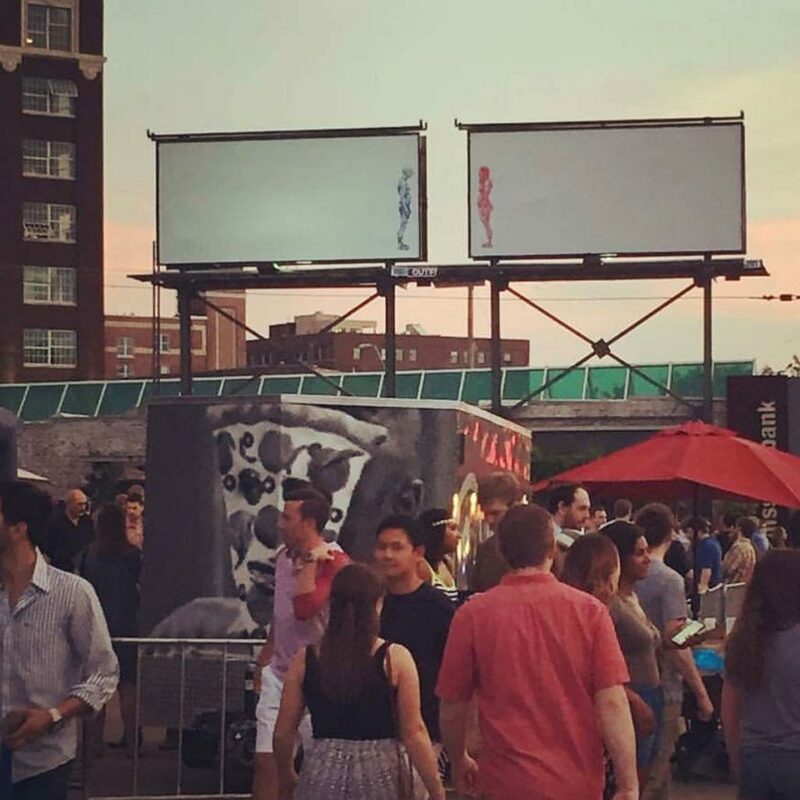 Commissioned public art installation of double-sided billboards above 125 southwest boulevard. The Mobank Artboards is a public art program administered by Charlotte Street Foundation. The Artboards are exterior, double-sided billboards rising above Missouri Bank’s Crossroads location at 125 Southwest Boulevard, and present new, commissioned images by Kansas City area artists rotating approximately every three months. Selected artists are chosen through a competitive process, and receive artist fees of $1,000 each for completing and delivering print-ready images for one set of side-by-side billboards. A call for proposals is issued each year in the fall.